EAFRD support was used for modernising a dairy plant producing high quality products in line with EU standards and requirements. This investment has increased competitiveness through production of higher value products and improved product quality. UAB Varėnos pienelis’ main business activity is dairy processing exclusively from high quality milk. 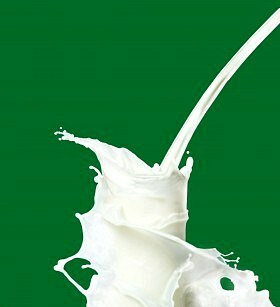 High-quality dairy products are based on high-quality raw materials and veterinary, sanitary and food safety requirements complying with the manufacturing process. Increased competitiveness of the enterprise will be stimulated by modernising the dairy plant using new technology and innovation aiming at higher value products and improved product quality. The main objectives of the project are to: (i) modernise the company’s production facilities, which would meet national and EU standards; (ii) ensure environmental requirements and improve the quality of milk production; (iii) increase optional efficiency and business competitiveness in the market; (iv) reduce production costs and operate effectively; and (v) operate and profitably occupy a favourable position in milk production and sales market. The company plans to achieve its objectives by developing a modern milk processing structure and by optimising costs, while reducing the energy and natural resources consumption. Also, the company acquired two vehicles for milk transportation in order to improve milk procurement. Another step is to obtain and maintain more highly skilled specialists and improving existing working conditions. The expected results were achieved. The applicant purchased packaging machinery and started the construction of the warehouse. The innovations used during this project are the new materials and technologies. While applying for support excessive documentation is required. In the application form there are number of issues that cannot be answered without professional help.